Exclusionary – covers all car components apart from those that are excluded in the extended warranty policy. Inclusionary (stated components) – only cover those components included in the extended warranty policy terms. Power train – only protects the power train that is the engine, drive axle, transmission and the transfer case (in case your car is a 4-wheel drive). Some power train covers also protects your fuel system, certain electrical components and air condition, however, this depends on your policy provider. Wrap – this coverage type is for cars that there power trains are still under their manufacturer’s warranty, but protection for their other parts has run out. Since each one of these extended types of used car warranty covers different parts of your car and each is priced in accordance to components covered, normally exclusionary is the most costly but also offers the best and most comprehensive coverage. Therefore the first factor that determines how much you are going to pay for your car’s extended warranty is the coverage type selected. Other than coverage types, there are also other factors considered while pricing extended warranties. Typically these policies can cost you as low as $350 and as high as $1000 annually, however, given that each plan and each individual varies, it is usually not an easy task to arrive at an exact figure with no price quotes from an extended warranty provider. For instance, covering Audi may cost you as high as $1000 a year. Here are the other elements that will determine the amount you will pay for an extended warranty for your used car. Car type – this is another element that providers use in determining policy cost. If you own a more expensive car model such as Mercedes Benz or BMW you should be prepared for a more expensive plan than someone owning a less costly model such as Chrysler. Car condition – commonly, diving older vehicles or those with much mileage, chances are that you will pay more in order to qualifying for any of these policies. The reason is that the older the car is and the much mileage, the more it is likely to suffer various types of mechanical breakdowns. Deductible amounts – this is the amount of cash you must part with at the service time before your contracted company pays the claim. The higher the deductibles the lower the cost of policy, and vice versa. An extended warranty coverage can cost you as low as low $950 and as high as $3100 depending on the car’s make, model, condition, plan type, age among other factors. However, most companies allow you to pay for the selected policy on a monthly basis under an interest free financing. First and foremost, have options as to where you can purchase your policy. However, car dealers sell these policies; they usually sell them at much higher prices in order to make profit on them. 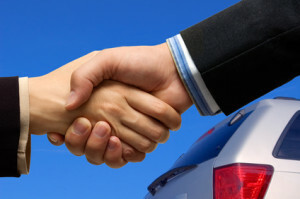 Hence, it is normally less costly to buy your policy directly from the provider rather than from a car dealer. Before deciding on a policy provider, carry out some research on the policy providing companies and find out which ones have the best reputations. As this will guide you to select the best available policy provider. Once you have settled on a few, contact them and inquire the types of coverage do offer, and what parts they are covering in what policies and the costs. This will definitely offer you some information on the coverage types offered by the provider and which provider’s price is best for the coverage. Once you have the necessary information, call the selected provider. In case the competing company offers lower rates, negotiate with them and see if they match the quotes or even whether they can give you some discount. Of course, the best way to find out how much an extended warranty for your used vehicle will cost is to get quotes from the policy providers or contact them, as there are many factors determining its cost.